At some point during your time as a homeowner, you are likely going to find yourself in a position where your old furnace just isn't providing you and your family with the level of comfort that you are accustomed to during the cold winter months, and when that happens, it is time to start looking at replacement options. 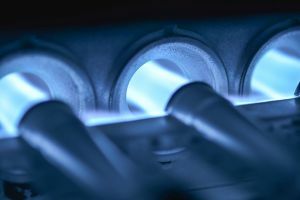 There is a lot that goes into furnace replacement, and if you have never had to do it before, the whole process can all be a little overwhelming at times. Here at Mobley Heating & Air, our expert heating contractors can take that process and make it a great deal simpler for you and your family. Our team of experts will work with you directly to identify what you and your family's needs are, and which furnace replacement options are going to be able to best meet your demands. When it comes to replacing your home's old furnace, you should never have to settle for service that is anything less than the absolute best, and when you make the call to the local pros at Mobley Heating & Air, you never will. Here at Mobley Heating & Air, we understand just how important your furnace is to the overall function and comfort of your home, and the kind of investment that a new furnace replacement represents. As such, you can always count on our local air conditioning and heating experts to give you an honest assessment about what is going to be the most effective option for your home, especially if it turns out that a replacement isn't necessarily the best option for you. Our customers are also our friends and neighbors, and as such, we aren't going to sell you on a product or service if you don't need it. If you have any questions about our full line of furnace replacement services, or if you would like to schedule an appointment for consultation with one of our specialists, give us a call today. Our team of experts are always standing by and would be more than happy to assist you in any way we can. The process of replacing a furnace can be a tricky one, and there is a lot more that goes into it than you might think. With that in mind, it is easy to see why it is always a better idea to leave the task to the professionals. Here at Mobley Heating & Air, our team of local air conditioning and heating experts have a great deal of experience in helping homeowners just like you find and install the perfect new furnace replacement for their home. Our team of experts will go over all of the various options with you and help you find a new system that will fit the size requirements of your home and have the kind of output needed to keep your home at the desired level of comfort for you and your family. Once you have the right replacement system picked out, our team of professionals will get to work in giving you a quality installation that you can count on for years and years to come. If you are in need of furnace replacements, then please give our heating contractors a call at (770) 939-6998 or complete our online request form.